Our handcrafted cut and color designs are tailored to your individual needs. 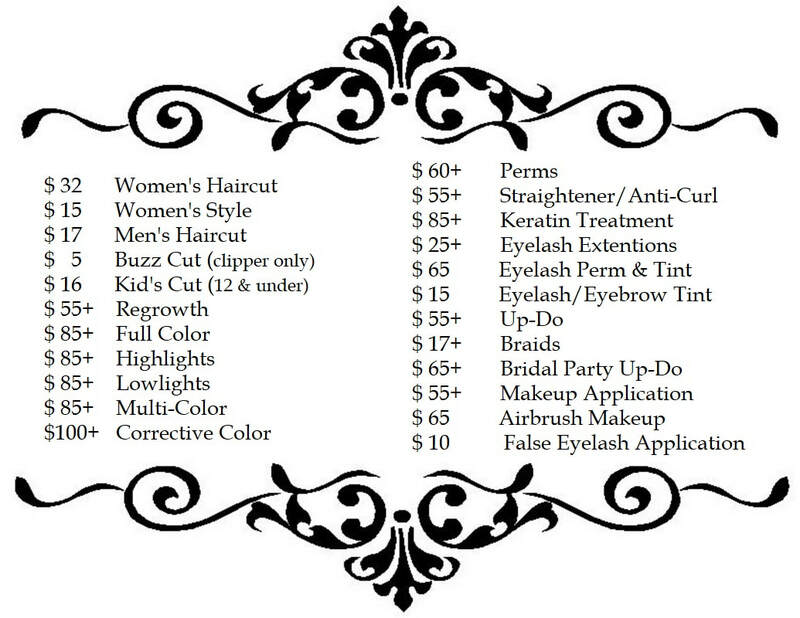 Consultations are free when made by appointment. We also provide make up services, lessons, special event make up and Halloween special effect make up!